Whitney specializes in underwriting, financial modeling, and transaction facilitation for the Capital Markets team. Throughout the deal process, she acts as the debt/equity liasion to provide targeted market and property-specifc analysis to various clients across all commercial asset classes. Ms. Medbery returned to Colliers International in the early Spring of 2018 as a member of its Capital Markets Group, after originally joining Colliers in 2013 as a Senior Analyst. From 2015 through March of 2018, Whitney served as a Senior Analyst, and later Vice President for EB Arrow (formerly Arrow Retail), a private-equity fund based in Dallas, Texas. There, she assisted in the acquisition and asset management of approximately $375 million, invested in 11 assets across the United States, totaling 4.972 million square feet. Prior to her time at Colliers and EB Arrow (fomerly Arrow Retail), Whitney worked at CBRE from 2007 through 2013 as a member of their Capital Markets team, where she managed the details of financing commercial properties from inception through the loan closing process, facilitating over $1 billion in commercial debt transactions. Whitney is a licensed real estate professional in the state of Georgia. Doug specializes in mortgage banking/brokerage with an emphasis on debt and equity placement. His primary funding sources are insurance companies, with commercial banks and securitized “conduit” lenders servicing as secondary sources. Multi-family assignments are most often arranged by Mr. Alexander through Fannie Mae, Freddie Mac, and FHA/HUD. Doug has also been active in the investment sales arena through his active Georgia real estate license. 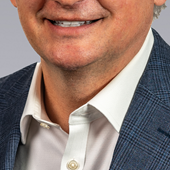 Doug joined Colliers International in Atlanta in 1994 as a member of its Capital Markets Group and is a former member of the firm’s Board of Directors. From 1985 to 1994, Doug was a Vice President with First Fidelity Mortgage Corporation of Atlanta. While with this commercial real estate financial services company, he originated and/or placed in excess of $500 million of mortgage loans, primarily with life insurance companies and pension funds. Doug played an instrumental role in establishing new correspondent lender relationships for the firm. His experience included a range of income-producing properties, with a particular emphasis on retail and single-tenant, credit-oriented transactions. Doug began his real estate career in 1979 with Gordon H. Kolb Developments, Inc. of New Orleans. In his capacity as Vice President of this neighborhood shopping center development, leasing and management firm, he actively participated in all aspects of the development process. 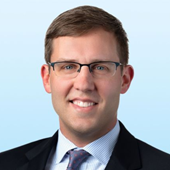 Hank Hall is a Senior Vice President with Colliers International and former Service Group Leader of the Capital Markets Group in the Atlanta office. Providing capital solutions to real estate developers and investors, Mr. Hall has experience in arranging debt and equity financing for office, industrial, multifamily, retail, and hotels properties in the Southeast. Mr. Hall has 31 years of real estate capital markets transaction experience. Total production is $2.58 billion. Previous work experience includes employment as Assistant General Counsel for The Portman Companies. Kevin Troy is a Senior Vice President with Colliers International. He specializes in loan origination, negotiation and structuring of debt and equity investments, with a primary focus on large single asset and portfolio transactions for retail, industrial and office properties. Forrest specializes in mortgage banking/brokerage with an emphasis on debt and equity placement. His primary funding sources are insurance companies, with commercial banks and securitized "conduit" lenders servicing as secondary sources. Multi-family assignments are most often arranged with Fannie Mae, Freddie Mac, and FHA/HUD. Forrest has also been active in the investment sales arena through his active Georgia real estate license. Forrest enthusiastically joined Colliers International in Atlanta in 1999 as a Vice President in the Capital Markets Group where he is responsible for mortgage origination and investment sales for the company’s life insurance company, conduit, and owner clients. Forrest moved to Atlanta in 1988 after graduating from Vanderbilt University, accepting an offer at Bank South, where he worked in several positions over a three-year tenure. Forrest focused his career on commercial real estate beginning in 1991 when he returned to Vanderbilt, enrolling in the Owen Graduate School of Management concentrating in finance. While at Owen, he gained commercial mortgage banking experience at the Nashville-based commercial real estate firm of Dobson & Johnson, Inc. Upon completing the Owen MBA program, Forrest returned to Atlanta to work for six years in commercial mortgage loan production with Wilson & Nolan Southeast, Inc. During his employment there, Mr. Speed’s production volume exceeded $150 million spanning a variety of property types including office, industrial, apartment, retail, and hotel. Bick Cardwell’s primary focus has been with institutional sales and mortgage banking. His expertise covers a wide range of real estate transactions including intermediate and permanent financing, joint ventures and investment sales. Bick is a past Board Member of the Westminster Alumni Board and Piedmont Driving Club. He served as Junior Warden at Christ Church and was on the Executive Committee of the Atlanta Botanical Garden, and Chairman of the Board of Reflections Ministries. Bick is also the past Chairman of the Board of the Center for the Visually Impaired, Past President of The University of Virginia Atlanta Alumni Association, Past Member of The University of Virginia Arts and Sciences Alumni Board, Past Board Member and Treasurer of the Executive Committee of Midtown Business Association, and The 300 Club (a national charity supporting the families of policemen and firemen killed in the line of duty). Bick is a previous member of the Board of Directors of Colliers International, Board Member of Central Atlanta Progress, Board Member Halpern Enterprises, Chairman of the Trust for Public Land Advisory Committee for Atlanta, and member of the Boards of Emory Eye Clinic and The Crossnore School.